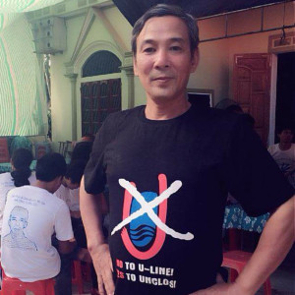 Le Dinh Luong is a Vietnamese HRD who advocated on behalf of victims of the 2016 Formosa factory pollution incident, which resulted in the loss of livelihood and sometimes life of thousands of Vietnamese fishermen and farmers. 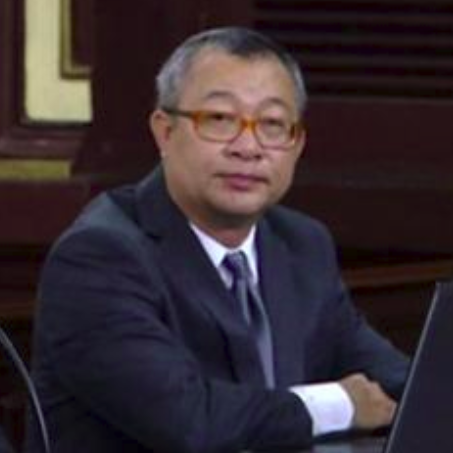 In August, he was found guilty of "carrying out activities aimed at overthrowing the people’s administration” and sentenced to 20 years in prison, with an extra 5 years of house arrest afterward. Le Dinh Luong's appeal took place last Thursday and this week, the court upheld his original sentence. Remember the stories of the Eastern spirit that floated across the Southern sky long ago. The stories had boys, martial arts, sharpening their blades, grinding their teeth, and enduring the pain in duels thinking of two words -- two words: “Kill them”... until blood is spilled... For a long time I mistakenly thought male heroes resembled that. But no! Living just more than half my lifetime, I am fortunate to see my misjudgements. Witnessing him stand among a jungle of uniformed police, responding to the questions and accusations, the thick files of evidence taken out, the sophisticated tactics, immeasurable tricks… used by the masters of law! He maintained his kind and natural smile to assert his innocence in his trial! He didn’t raise his voice, didn’t blame anyone, didn’t show the slightest sign of anger… His words were calm, gentle and quiet. It was strange, his power from that point on was unparalleled. A criminal case that looked pre-determined by authorities to guarantee social order meant that severity of the case was already known. But with him, the sentence of more than 7000 days in prison looked light like gentle clouds drifting through life. He has given his life for others! Like a portrait of predecessors on Golgotha, he is living his life to the words of the Great Teacher, carrying the cross to redeem his homeland, for those who placed a judgement on him today. So that is it, Luong’s “crime” was too great in wishing to redeem this miserable society… even too great for me.